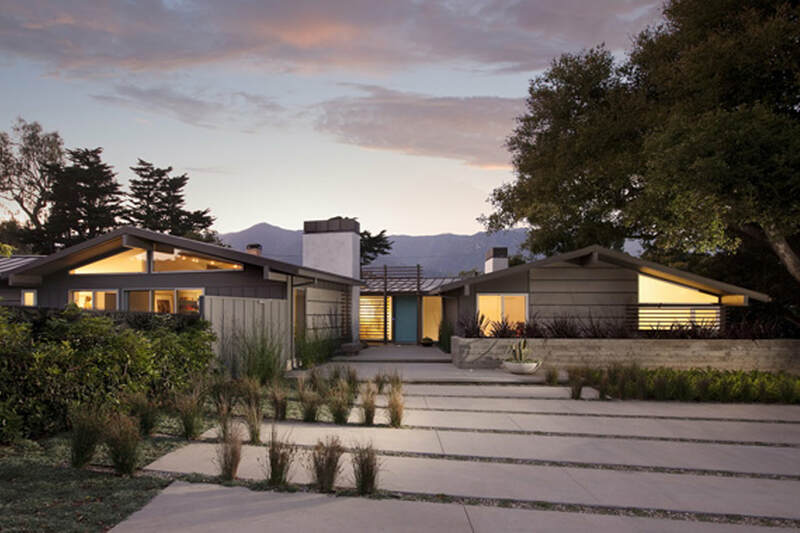 Rooted in the modernism of the mid-twentieth century, this single-level ranch-style house has been transformed from the ground up. 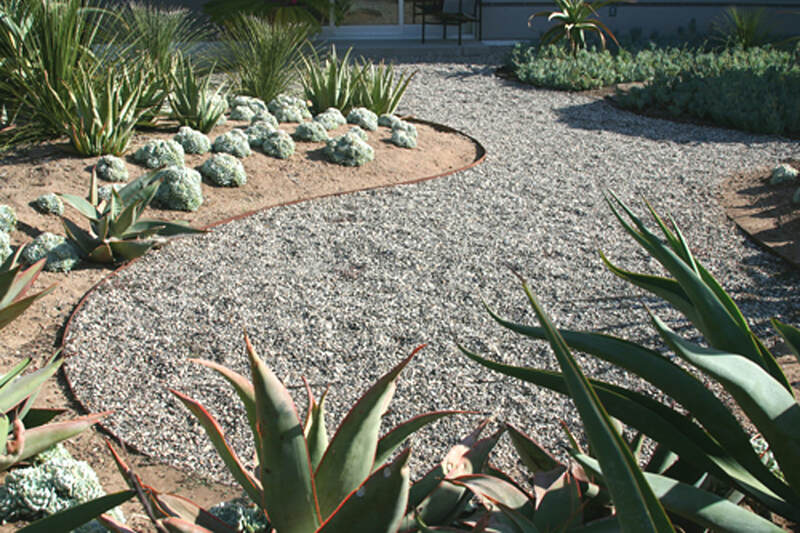 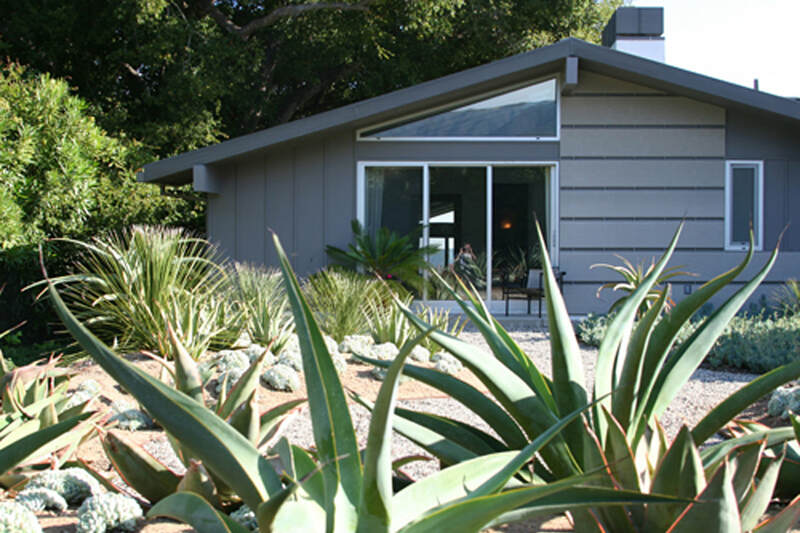 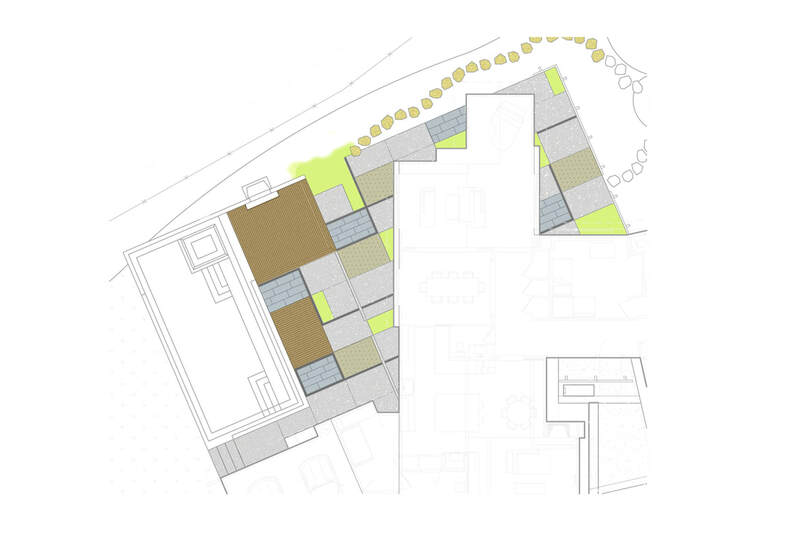 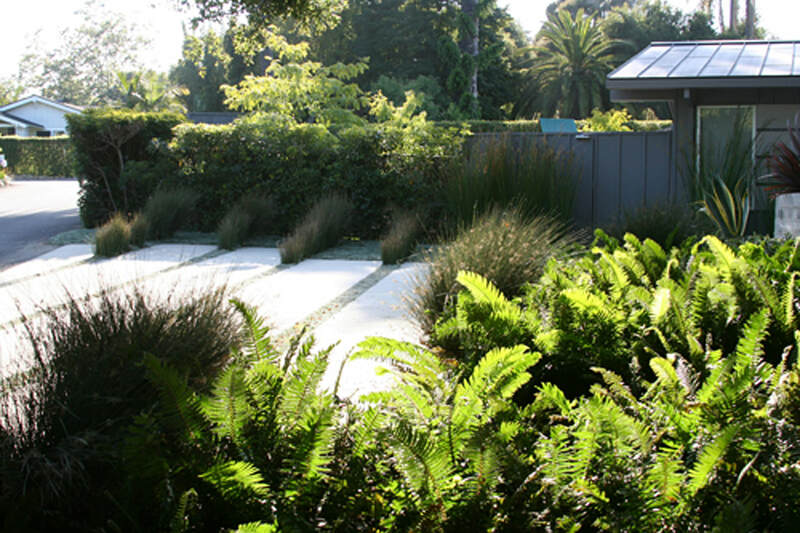 The minimalist, drought tolerant theme of the landscape is continued through the development of four distinct zones: the motor court, an active play area, the entertaining area, and a meditative succulent garden. 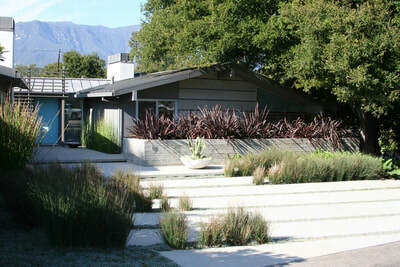 A motor court paved with concrete leads to the main entry of the house. 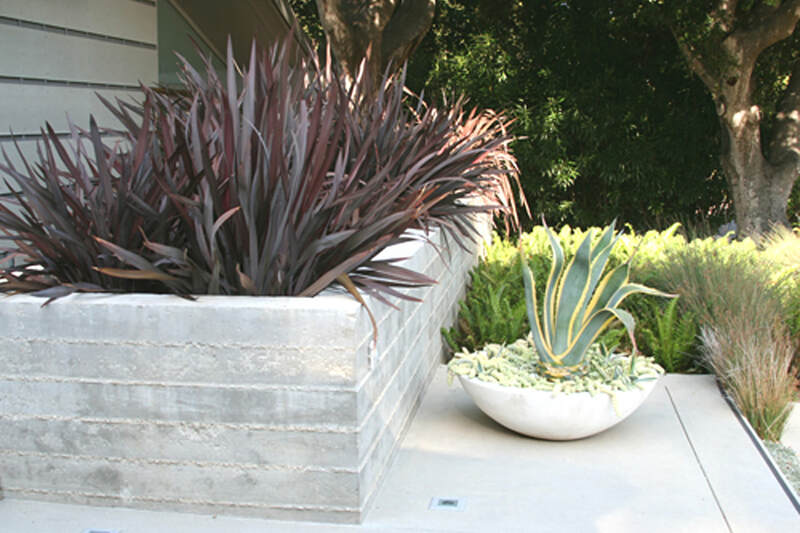 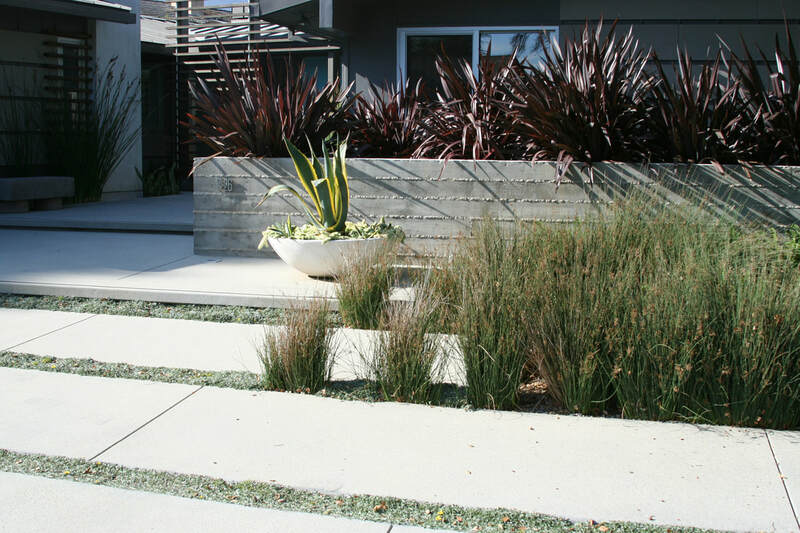 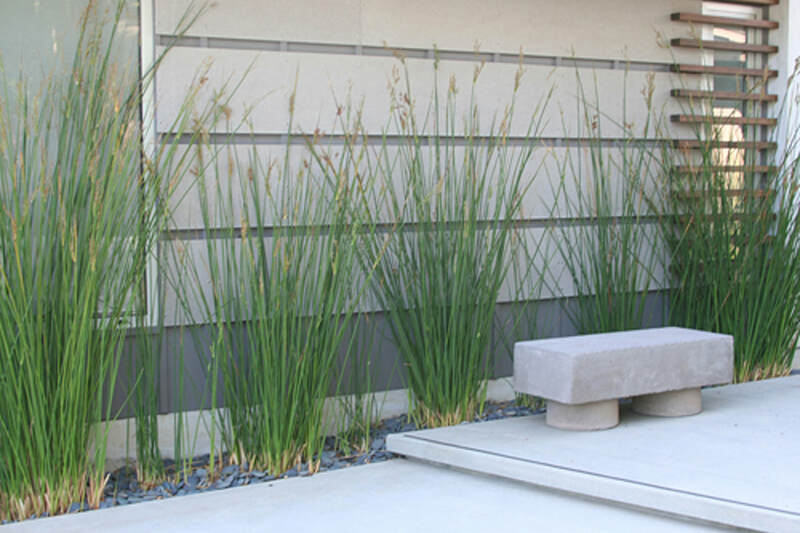 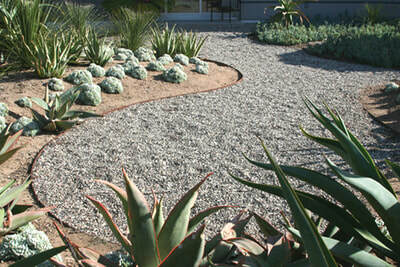 Bands of planting serve to collect water runoff and create visual interest in a space that acts as a driveway and parking. 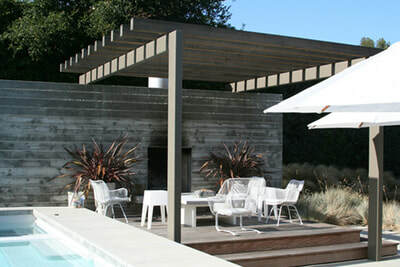 A lawn area adjacent to the pool acts as an active play area for the clients’ children. The sun drenched entertaining area features a dramatic swimming pool bordered by an elevated, trellis-shaded deck with an outdoor fireplace. In contrast, a nearby quiet patio is surrounded by a sculptural succulent garden, providing respite from the active zones. 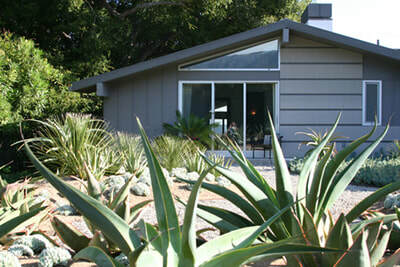 With its airy quality and many glass windows and doors, the residence offers a true definition of indoor/outdoor living that is unique to California, where the indoors and outdoors flow into one another.